Psychoactive cacti have played a huge role in spiritual and religious rites practiced by a variety of the world’s oldest cultures. The Cactus of The Four Winds, a kind of Bolivian Torch, is renowned as one of the most powerful types of mescaline cacti on the planet. Containing large amounts of mescaline and other alkaloids, it is treasured for inducing incredible spiritual experiences characterized by strong euphoria and intense hallucinations. Read on to find out more about this iconic cactus, including it’s history, effects, and how to prepare it at home. WHAT IS THE CACTUS OF THE FOUR WINDS? The Cactus of the Four Winds (Cactus de Los Cuatro Vientos) is a special kind of mescaline cactus native to South America, characterized by having four-ribbed stems. It contains huge concentrations of mescaline and other alkaloids, giving it strong psychoactive properties and health benefits. The specific taxonomy of this cactus is highly debated. Many researchers mistake it for a special strain of San Pedro, although evidence shows that it’s actually a kind of Bolivian Torch. The Cactus of The Four Winds holds a special place in the ancient cultures of Bolivia, Peru, and Ecuador. Similar to the four-leaf clover, four-ribbed cacti are extremely rare and were treasured by ancient shamans for their potency. According to Italian historian Mario Polia, those who stumbled upon the Cactus of The Four Winds were great shamans or destined to become so. The earliest references to the cactus date back to roughly 2,200 BCE. According to El Mundo Magico, excavations at Las Aldas, a large archaeological complex located roughly 300km from Lima, Peru, uncovered cigars containing remains of the renowned cactus. Other archeological evidence, such as temple engravings, ceramic vases, and textiles dating as far back as 1,200 BCE also highlight the cactus’ central role in spiritual ceremonies practiced by ancient pre-Incan cultures such as the Chavin. The cactus contains very high concentrations of mescaline, which tends to dominate the overall experience of using it. The effects of the Cactus of The Four Winds usually set in between 30 to 120 minutes after ingestion. 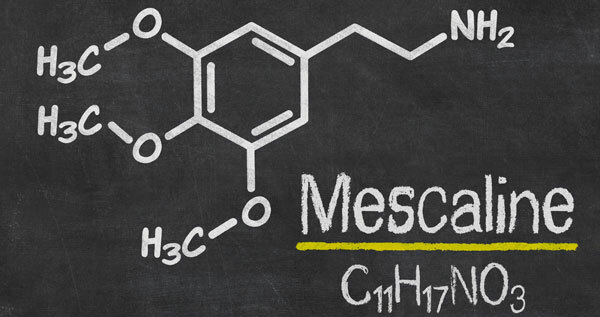 As is common when using other types of mescaline cacti, users may initially experience symptoms of nausea and even vomiting. After that, they can expect to embark on a vast spiritual journey that can last anywhere from 8 to 16 hours, depending on the dose. Strong mescaline trips are characterized by powerful hallucinations and extremely altered perceptions of reality. Users may also experience extremely strong, almost overwhelming physical euphoria and changing levels of consciousness, ranging from moments of extreme clarity to more unclear, rapidly changing thoughts. Lower doses tend to provide milder effects, characterized by slight hallucinations and a warm physical feeling which some may find similar to that induced by MDMA. 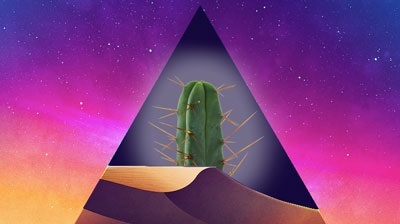 When taken in small doses, the mescaline in Cactus of The Four Winds is said produce a very clear headspace. Anyone looking to experiment with this cactus should be familiar with how to correctly dose mescaline. The general rule of thumb is to take oral doses of 5 milligrams per kilo of bodyweight. A mescaline dose of between 200 to 600 milligrams per person is expected to produce a medium to strong psychedelic experience. You can expect to get this amount of mescaline from between 20-35 grams of dried plant matter, although this can vary greatly depending on the potency of your cactus. We suggest using roughly 15-20 grams of dried cactus and then adjusting the dosage after about 1 hour if need be. Traditionally, shamans in Peru, Ecuador, and Bolivia would boil the Cactus of The Four Winds for up to 24 hours. Thanks to new technology, the modern psychonaut can prepare their brew in only a few hours. All you’ll need is a blender, a big pot, a stove, a funnel, a container, and some cheesecloth. Here is a simple list of instructions for preparing your Cactus of The Four Winds. Note that the dried cactus can also be chewed, but we prefer this method as it tends to minimize symptoms of nausea and/or vomiting. 1. Cut the stems of your cactus into small enough pieces in order for it to fit into the blender. 2. Put your cactus pieces into the blender with some water (follow a 1:1 ratio). 3. Blend until the cactus and water combine completely and transfer the liquid to a pot. 4. Cook the mixture on low heat for roughly 30 to 60 minutes. The mixture may separate, at which point you should begin stirring it. 5. 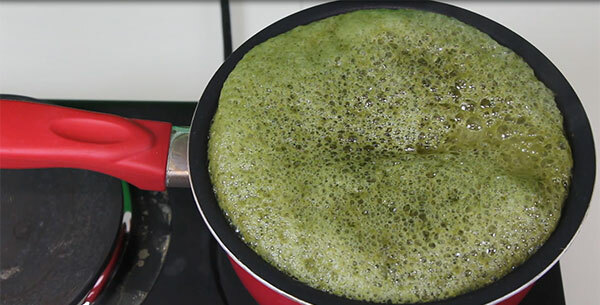 Let the mixture cook slowly until it reaches the consistency of glue and bring it to a simmer. 6. Simmer the mixture for 2 to 4 hours. You may add a little more water to prolong the cooking period. 8. Once the mixture has formed into a thick goo, transfer it into a funnel lined with 2-3 pieces of cheesecloth, allowing the remaining liquid to filter through it and gather into a container. 10.Pour the filtered liquid into a cup and, once it has cooled, drink it slowly over roughly 30 minutes. Ready to witness the power of the Cactus of The Four Winds for Yourself? Zamnesia plans to stock high-quality samples of The Cactus of The Four Winds in the near future. To find out more about this unique plant and to get your hands on it as soon as possible, make sure to check back with us regularly.